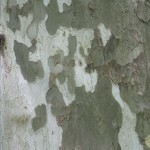 If you live in the Virginia, Maryland and Washington, D.C. area – and want a tree to screen a view, provide interest or add to existing landscaping, here are some choices for wet and hot areas. Check with your local nursery for specific cultivars regarding height, spread, seasonal interest and planting requirements. Here are some tree suggestions for the metro Washington, DC area. Did Recent Virginia Earthquake Help Break Up the Soil? I am dedicated to enhancing the beauty of nature: designing a landscape that achieves an outdoor experience beyond your expectations.